Rose Park Roasters believes that coffee is an open invitation. 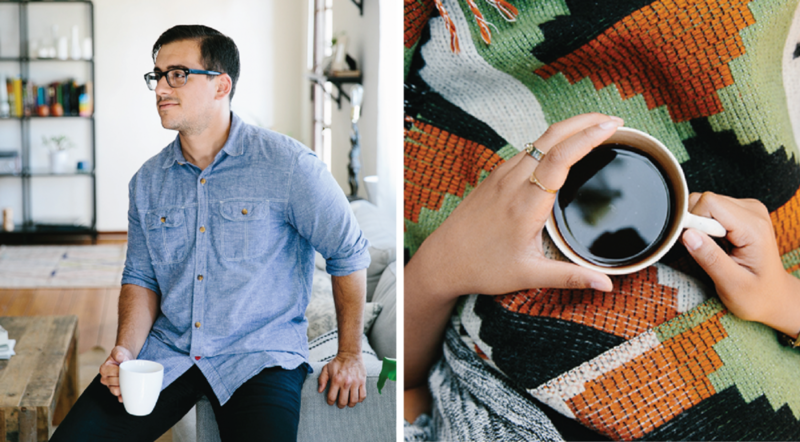 That good coffee is for everyone--not just the coffee elite. They dig deep to find the absolute best coffees and roast them to perfection for their customers who get coffee delivered by bicycle or enjoy it in their coffee bar. 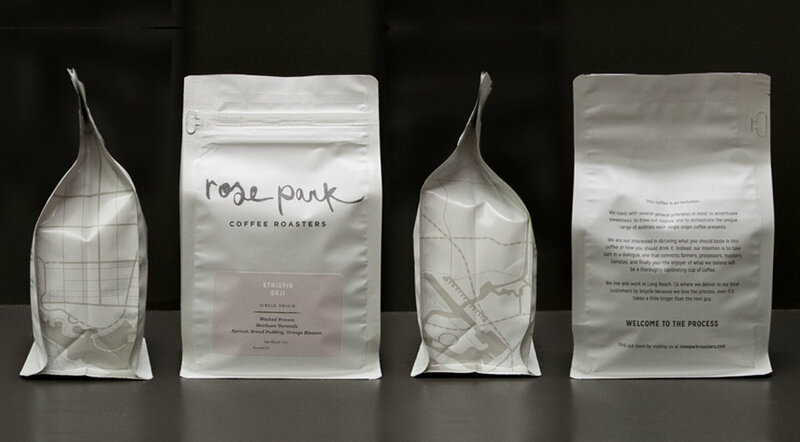 Rose Park knows that their coffee is delicious no matter how you prepare it, sip it, smell it, or gaze into it. We worked with them on all creative elements in order to establish their brand in a way that aligns with their core values and moves them to greater growth. Project completed while Owner & Creative Director at Camp Design Group. 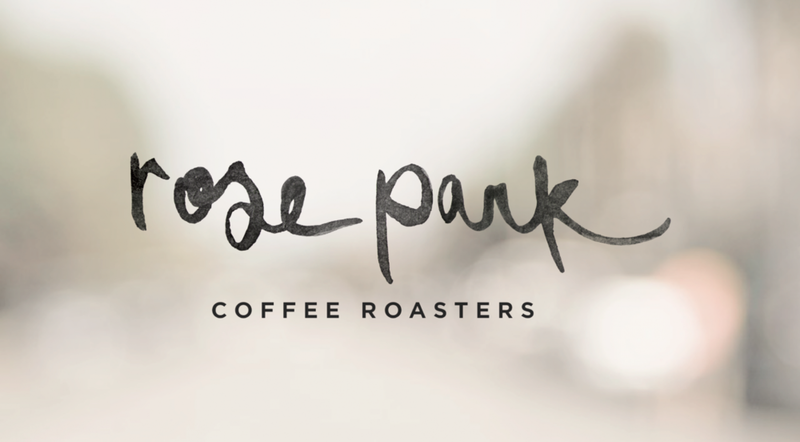 The foundation of Rose Park is communal, approachable, and familiar. With this in mind, the logo was created from custom hand inked lettering. The organic shapes of the letters exude a casual ruggedness while still feeling refined. Color and typography choices continue the tones of warmth and sophistication. We partnered with one of our favorite photographers, Angi Welsch, to capture the essence of the Rose Park brand with photos that could be used for website, marketing material, and any other brand needs. The images reflect the relationally centered culture that Rose Park is built on. Welcoming and comfortable images ensure customers feel like they have a place to belong. Using muted colors, soft matte finishes, and a simple color-coded label system, the design of the packaging reflects the quality of the coffee while expressing the core of the brand. Rooted in their community in Long Beach, CA, it was important to speak to their heritage in the packaging. This was done with a simple graphic map of Long Beach--including bike lanes--on the side panels of the bags. The website utilizes a minimal design and beautiful imagery to express the brand. 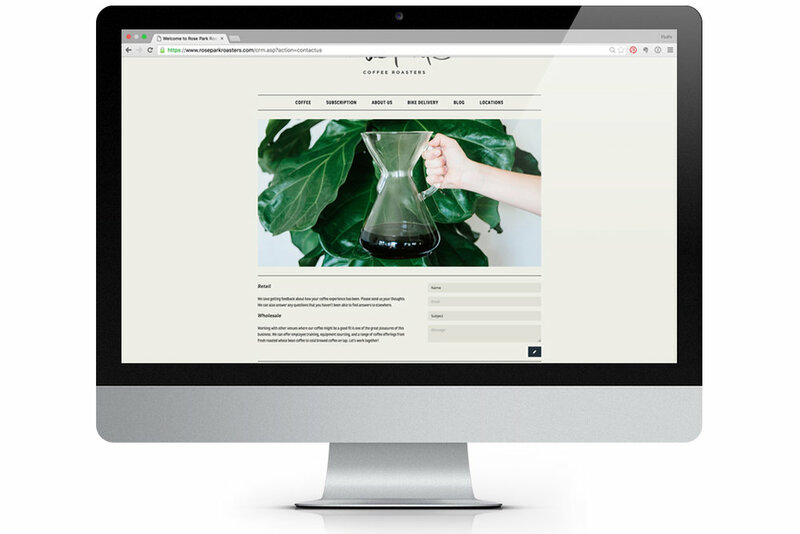 Pretty simple and straight forward (like the brand), the website provides info on their current offering, coffee subscription sign up, locations, and other important information. At the Rose Park Coffee Bar, customers are invited into the physical brand experience--voiced by the wall mural saying "welcome to the process." Here, anyone is welcome to enjoy the unique menu that showcases deliciously and thoughtfully roasted coffees and other locally made goods. The space was designed with the intention of being welcoming, minimal but detailed, and ultimately a gathering place for the community. The concept for the roasting facility was to serve as the main production hub, an educational space, and a coffee bar. Furniture and finishes lend to a more industrial feel yet still embody the thoughtfully refined nature of Rose Park. Although never fully realized, this concept exemplifies the more rugged side of the brand.